Newsworthy :: Blogs :: Digital Textile Inks: Sublimation, Dispersion, Reactive and Acid. For many in the industry, “dye sublimation” is synonymous with digital textile printing. In reality, sublimation is just one of several processes that can be used to print on textiles. 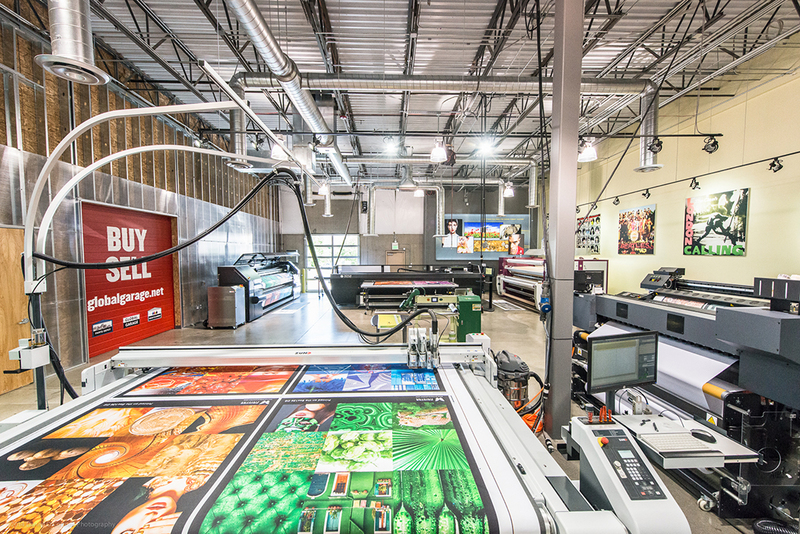 Theoretically, any large format printer that can print on fabric can be called a fabric printer. However, for the purposes of this blog, we are speaking only about true digital textile printers that are engineered to bond or infuse ink into fabric. This differs from other technologies like latex or UV that lay ink on top of the surface of fabric. The most widely known type of digital textile ink is disperse ink. This is what is used in the dye-sublimation printing process. These inks infuse into and actually dye the fabric, becoming part of the textile itself. Disperse inks are broken down into low-energy, medium-energy and high-energy dispersion. Our commonly used “dye sublimation inks” are a low-energy dye dispersion, most typically used for transfer printing from paper to fabric. The sublimation process requires the use of a calender to apply heat and pressure. The carrier evaporates and the dye turns to gas when heated to a high temperature (380-400 F). The synthetic fibers “open” to receive the gas and when they cool, they close and encapsulate the colorant. The colorant then returns to a solid, actually dyeing the material. When the dyes in reactive inks are applied and fixed to pretreated fabric, they create a chemical bond with the cellulose in that fabric. Reactive inks do best on linen, rayon, nylon and other cellulosic materials. Acid inks require pretreated fabric for fixation and are printed directly to the textile then steamed to set the ink. The dyes that make up acid ink create ionic or electrostatic bonds with textiles such as silk, wool, and nylon. Fabric with reactive and acid ink must be washed after transfer to remove any residue. Reactive and acid-based inks also have to be set into the fabrics with a post-processing heating procedure to permanently set the dyes. Pigment inks are finely ground powders suspended in liquid carriers with binders. Where sublimation creates permanency when the dye is encapsulated into a polymer, pigments are bonded to natural fabrics using binders and a heat calender process. Digitally printed natural fabrics are in high demand, so this is an area we expect to see significant growth in in coming years.